for your home or professional needs. and of course: The Services you need with the quality you demand. Tell us what you need and we advise you to the best solution. 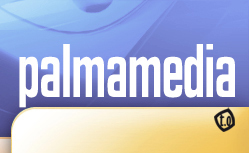 Digital Photography and Video Services are another service that Palmamedia offers. We invested in professional photographic/video equipment to aid in our quality graphic design. The better your original images, the more superior your final printed product will be. We can help you achieve top visual results. Global image and viral images can be a perfect way to success.Performance of your business and projects to the virtual comunities. Faceboo, Twitter, Instagram, etc.